I’m a little crazy right now with the final preparations for The Diabetes UnConference, so thankfully there is a meme called Meme of Four going around the DOC (Thanks to Stephen and Kerri and Laddie and Scully…) that I am totally going to do because my brain is mush. 1. Christi – My nickname when I was young, until three girls in my class were all called “Christi” – we had to go by our full given name. I reverted back and forth throughout my life, depending on my location and how tired I was of trying to get people to pronounce my name correctly. 2. April – Aprigliano gets people really confused. My first name sometimes becomes April in emails from strangers. 3. Marsha – Marchand. See April above. Same issue. 4. 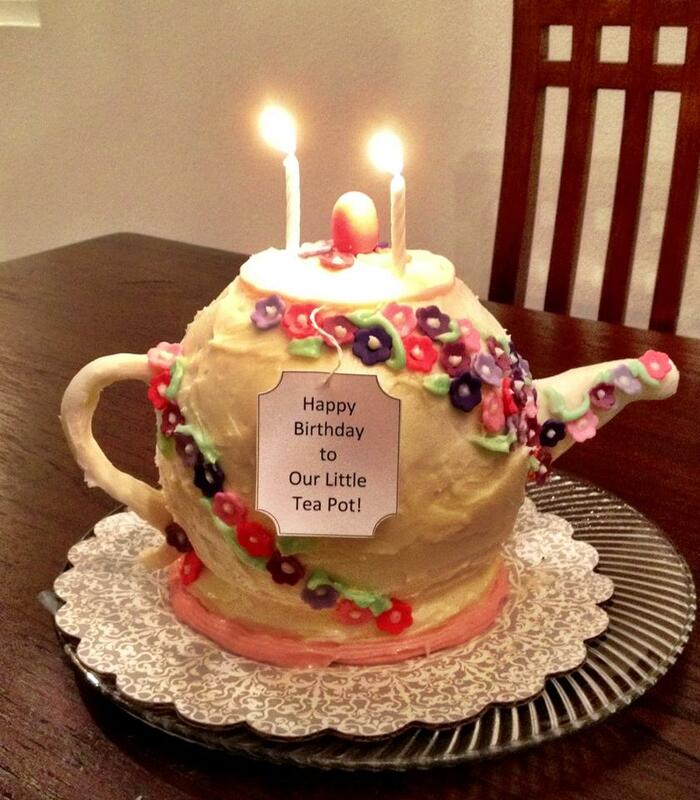 Teapot – In my 20s, that became my nickname to some friends and family members. 1. Sales & Marketing representative for Nabisco (Planters & Lifesavers Division). My home office smelled like Cotton Candy Bubble Yum (all those samples!) and I always had a case of LifeSavers in the back of my company car. I never ever had a problem finding something sweet when I was low. 2. Chamber of Commerce Executive Director for the nation’s largest active-adult community. I loved that job and the people I got to meet; the business owners and the residents of the area were amazing. 3. Collections agent/skip tracer for a large credit card company. It was scary how good I was at getting people on the phone, even after they avoided other collection agents. No one expected a sweet voice asking for “Bobby” to not be his friend. 4. Target Cashier. I lasted three weeks. Approved! Just… no. 1. Bladerunner – Sci-Fi nerd. 2. Valley Girl – I was young and Nicolas Cage had real hair. 3. Monsters, Inc. – It comes with being a parent. 4. La Femme Nikita – The French original version, not that horrible US version or the horrible TV show. 1. Neuromancer by William Gibson – If you are a Sci-fi/cyberpunk nerd, this is required reading. 2. Lamb (The Gospel According to Biff) by Christopher Moore – Hysterical and eye-opening. 3. Jitterbug Perfume by Tom Robbins – Love, immortality, and beets. Yeah. Beets. 4. Hitchhiker’s Guide to The Galaxy by Douglas Adams – Or anything by him. I miss him. 1. Montréal – smoked meat sandwiches, poutine, St. Viateur bagels, tortière …sigh. 2. New England – lobster, baked beans (both the candy and the real thing), clam chowdah… sigh. 3. Atlanta – The best doughnuts in the world. Hands down. 4. Germany – Quarkbällchen, Brötchen mit Speck und Ei, Glühwein, Schweinehäxe…sigh. 3. Engrenages (Spiral) – John says that if it has dead bodies and cops in it, Christel’s watching it. He is correct. Bonus because it’s in French with subtitles and not dubbed. 4. Odd Squad/Curious George/Anything on PBS that is for kids. Because, you know… The Kid runs the TV. 1. Diabetes UnConference – Duh. 2. The Kid turning four, despite our pleas to not get older. 3. The launch of a major project later this year for people with diabetes. 4. A trip with my family…and some time alone with John. Love this list! I’ve learned things about you I never knew before. Any chance I can get that stuffing recipe??? Knowing The Kid, I think a lot of “We can’t do __________ if we/you’re naked” happens in your house. The launch of another D project from you has me giddy.